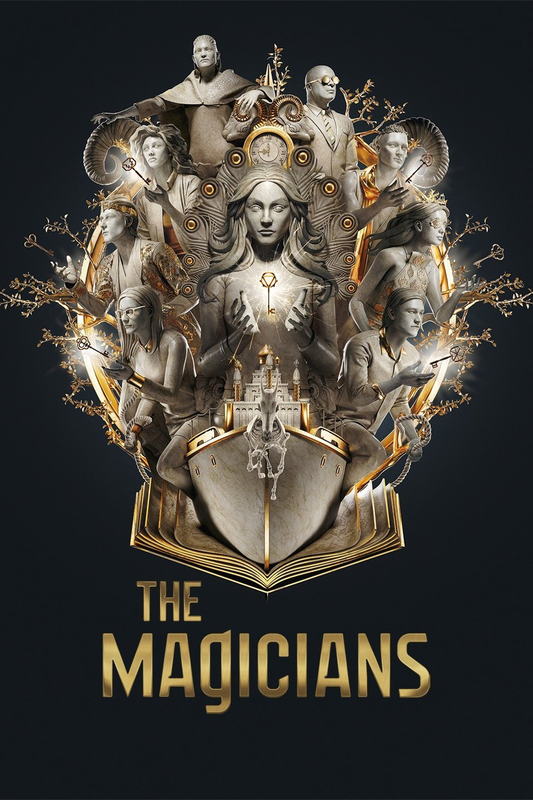 The second season of The Magicians was certainly a lot stronger than the first and did a lot to rather deepen the mystery of things within the show and its many characters. When you get down to it the show has a fair number of characters to juggle but they do manage to decently develop all the different storylines in a manner that remains fulfilling. The second season also introduced new challenges like the weakening of magic and the involvement of the elves in the affairs of Fillory add a lot of interesting players and new power dynamics in the greater plot. But I totally couldn't have anticipated how the second season would end and the new status quo it would establish for this third season. It feels like things really get real in this third venture and everyone has to deal with the higher stakes despite seemingly having less to work with. Just another day for our Brakebills crew, I suppose. 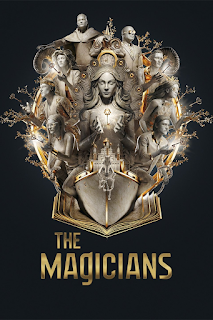 Synopsis: The Magicians is an American fantasy drama series created by Sera Gamble and John McNamara. The series is based on the books of Lev Grossman with a fourth season already confirmed for 2019. Magic is gone. Before it was weakened because of a prank by Umber but not it's totally and entirely gone, leaving the students of Brakebills left to study magic only in theory and not in practice. The only exception appears to be Julia (Stella Maeve), who commands a very minimal amount of magic for some unknown reason while everyone else is denied such powers. Quentin (Jason Ralph) naturally hopes to find a way to restore magic but is uncertain where to begin. Meanwhile in Fillory, the kingdom is secretly under the control of the elves, although only those who have made deals with them can see them - in particular Queen Margo (Summer Bishil) and King Eliot (Hale Appleman). But without magic they seem powerless to stop the Queen of the Elves (Candis Cayne) and her forces, especially given how Eliot and Margo seem unable to hide anything from her for some reason. What I Liked: Everyone seems a lot more comfortable with their characters in this season and it really adds a dimension of genuine delight in many of their key scenes. One of my favorite moments remains to be how Eliot and Margo manage to discuss their theories about the Queen of the Elves in a code that is uniquely human. Sure it's a moment that relies on a lot of pop culture references but hey, this is totally speaking the language of Eliot and Margo more than anything else. I also really love the arc of the Elves. They start as the scary antagonists who have managed to take over Fillory despite Eliot and Margo's best efforts. But over the course of the season they manage to deeper their characterization and make you actually feel for their plight more than you'd expect. And thus perhaps there aren't good guys and bad guys in their world of magic (or at least used to have magic) - there are just different sides and factions each doing their best to watch out for their own. This season had its share of fun ranging from the musical episode (which is almost a television staple these days) but more the silent episode, if you know what I'm talking about. That was a narrative connection that I has never expected and beyond that it was very well done. Amazing job! What Could Have Been Better: Alice as the evil shade was only a little less annoying than Alice the Niffin and her entire arc in this season is hardly a good one. You start out not liking her and by the end you can't appreciate her any more than you did at the start so where do we go from here? Penny's arc is also largely a dead end as his deal with the Library ends up at its logical conclusion. Penny the spirit was sort of interesting but Penny the indentured servant of the Library for all eternity was not so great. Totally shame there. TL;DR: The Magicians is a show that has really come into its own and is a distinct television experience that is witty, dramatic, funny and over all quite clever. It's has a pretty fulfilling story on the whole and some truly break out moments in this season. And thus the season gets a full 5 efforts to catch the elves off guard out of a possible 5.